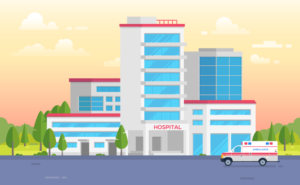 In an environment where value-based reimbursement performance presents challenges to even the most “metropolitan” of hospitals and healthcare facilities, rural hospitals find themselves facing challenges heightened by their specific set of circumstances. Despite serving as a critical healthcare safety net for millions of patients, many rural hospitals are constantly on the brink of closing their doors. Eighty-two rural hospitals have closed since 2010, and many more are considering shutting down because of low operating margins, challenging patient populations, and provider shortages. In 2016, 41 percent of rural hospitals operated with negative margins. As patient populations get older, regulatory programs become more challenging, and resources remain scarce, stakeholders fear that the safety net may be unraveling. In this article, RevCycleIntelligence offers a look at factors that make revenue cycle management more difficult in the rural hospital setting, and how can these organizations overcome key operational challenges stemming from their unique position. Among many takeaways is the fact that residents in rural regions are more likely to experience socioeconomic and clinical challenges, resulting in higher costs. Hitting the KPI’s above requires a clean healthcare payment and remittance approach enabling data to flow in and out smoothly without manual costs and time delays — essentially a straight-through process! OrboAccess technology is the key component to drive revenue cycle success.